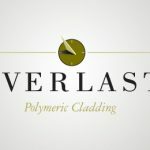 For example, Everlast® Advanced Composite Siding is produced from a proprietary composition of inorganic minerals, polymeric resins, and acrylic colorants. As a result, unlike other siding products on the market, it has zero required maintenance and its colors are chemically bonded – not painted on – which means that the siding will where can i buy viagra in stores Fildena 200mg never need to be painted. It also has a UV-resistant acrylic cap that provides extreme fade resistance. That’s a huge relief – and a huge selling point – for homeowners who don’t want to deal with the cost and inconvenience of having their siding re-painted.